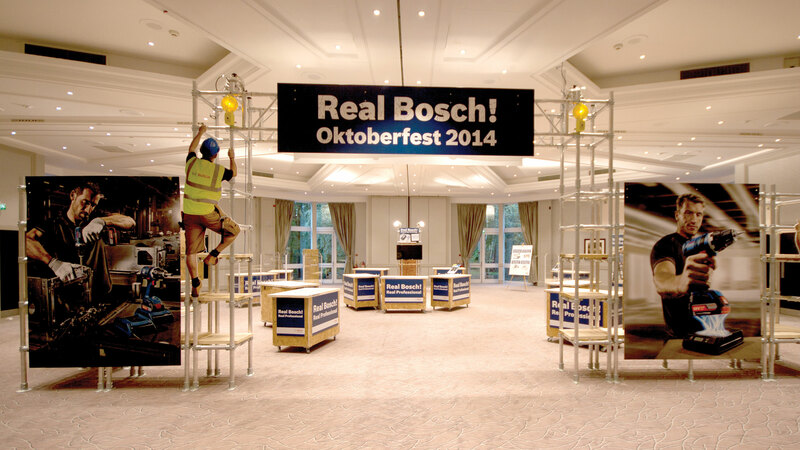 We were given the mammoth task of designing and producing a bespoke modular exhibition stand to cater for a large number of exhibitions, trade fairs and other events. Our approach was to use scaffolding and building site materials wherever possible, all of which can to be used in varying sizes and configurations. 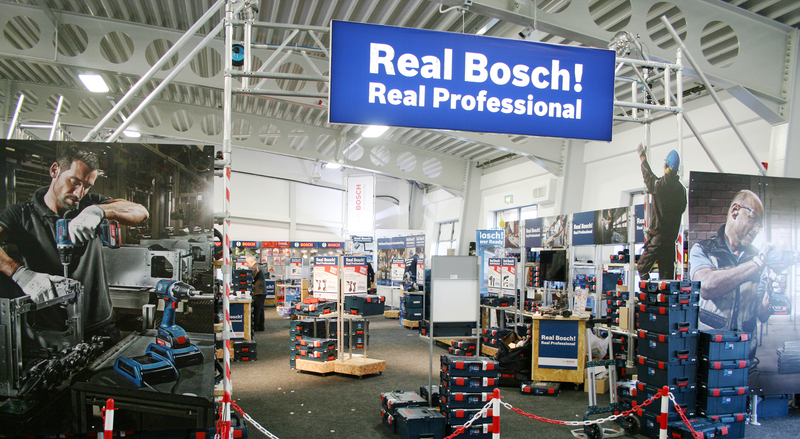 The stands showcase new products, product offers and enable hands on demonstrations and tutorials. 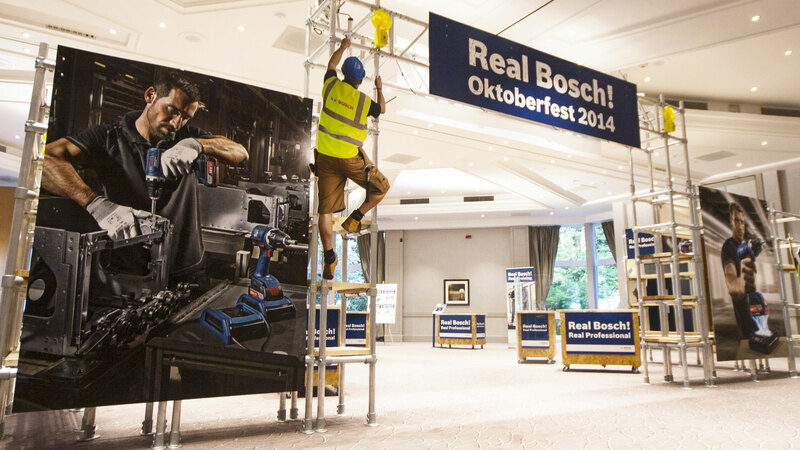 We were very conscious of the end user and the stands have been designed to create 'Bosch Awareness' and to appeal to both professional users and retail buyers.